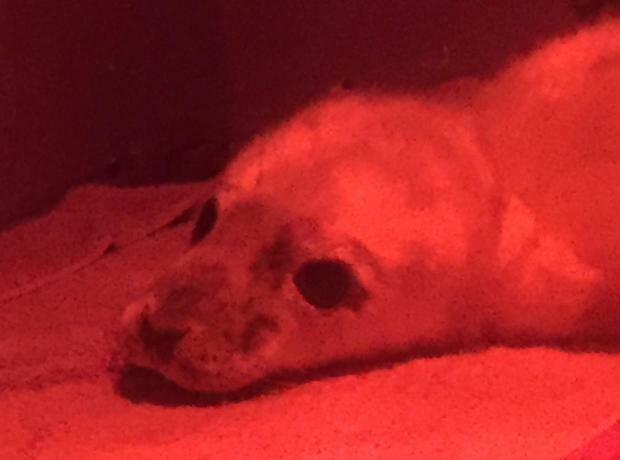 After nearly two weeks of intensive care we are extremely sad to say that Poppy the grey seal pup passed away in the early hours. Found abandoned on a beach in Aldereny with no mum in site the team at the GSPCA have been caring for Poppy around the clock. Poppy was the youngest seal pup to be cared for at the GSPCA and over the last two weeks staff have had her in isolation where only essential team members cared for her to ensure she was given the best chance. Sadly despite treatments, vet and the intensive care Poppy was struggling to put on weight.